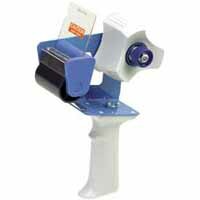 Our main focus are tape and label dispensers and applicators. Tape dispensers include both gummed and pressure sensitive tapes. 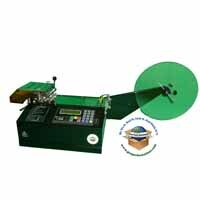 We carry everything from simple tape guns to top of the line gummed tape machines. 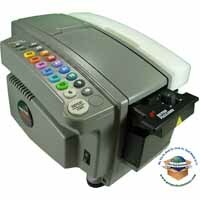 Our label dispensers include hand held, manual, electronic pick and stick, and semi-automatic label applicators. If you need any help, call us at (770) 554-1187. Table top and stand alone pressure sensitive tape dispensers for industrial applications. Gummed Kraft reinforced gummed tape is the best way to seal cartons. 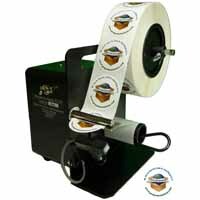 Gummed tape dispensers are used to dispense, moisten, and cut the tape. 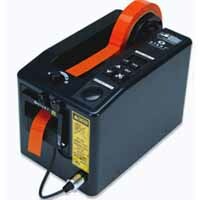 We have several tape dispensers for dispensing pressure sensitive tapes. Tape guns are easy to use and very inexpensive. We also offer mountable magnets for hanging tape guns on the ends of racks or shelves.